'Tis the season to be jolly! Roaring fires, twinkling lights, gifts gathering under the Christmas tree, and Christmas songs on the radio....all of these things bring a wonderful festive feel to most of us. The time of year when we turn our thoughts to spending more time with family and friends, and preparing our home for an influx of guests. With Christmas dinners being eaten across the globe, the dining room is an integral part of the family home for the festive season. Whether you have a dedicated dining room or a dining table in your kitchen, you can make it into a welcoming, practical space ready for the holiday season. The focal feature of the dining room, you need to get this absolutely right, as you'll be living with it for a very long time with some luck! 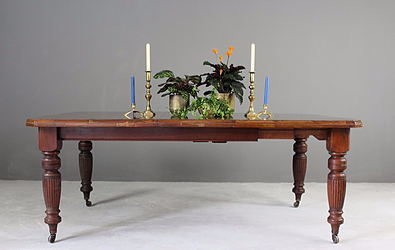 For longevity and character, antique dining tables fit the bill. Having stood the test of time and being made with some of the finest woods, they offer an affordable, quality choice of dining furniture. So where do you start? Measure your room, or the area you wish to place the table, and start imagining what shape might suit your space. Think about how many people you might need to seat. Rectangular dining tables are the most popular shape, lending themselves well to narrower dining spaces, allowing them to be pushed up against a wall to maximise space. Similarly square dining tables can offer the same advantages, fitting comfortably into the corner of a room. 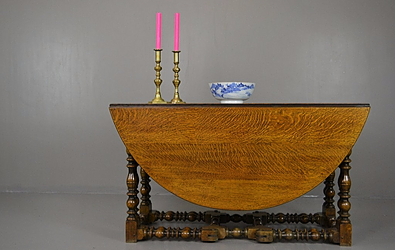 The original space saving tables, antique drop leaf tables, became popular in the 16th century and can be found in most shapes. Round dining tables offer an intimate dining experience, with a flowing curve, they also work well in any room shape. 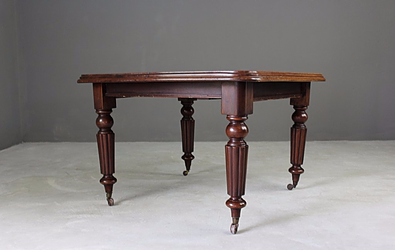 If you're looking to avoid potential seating problems with table legs, look for a dining table with a pedestal base. Having the base in the centre makes the whole table usable. 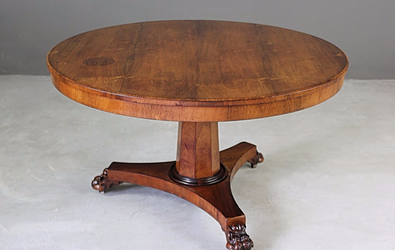 If you have a large family or you regularly entertain, you might like to consider an antique extending dining table. When looking for dining chairs for sale, keep in mind how many you need for your dining table and what your budget is. If you've opted for an antique extending dining table, it may be worth getting a couple of extra chairs to store away until needed. You can find sets of antique dining chairs of various designs and sizes, most commonly in sets of 4 or 6. Victorian dining chairs are widely available and come in some lovely styles. Here at Kernow Furniture, we especially love balloon back dining chairs. They are built for comfort as well as style and are generally upholstered. As with most antique Victorian furniture, you can find them with a variety of influences in their design. 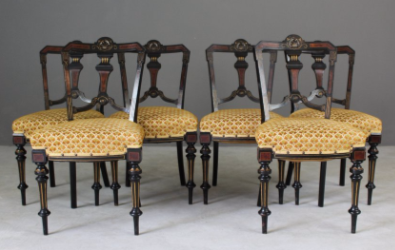 Other chairs worth considering in an antique dining room include Sheraton style dining chairs which were inspired by the Louis XVI style, and Chippendale style chairs. If you have children, you may want to consider an easy clean option such a non-upholstered chair, the last thing you want is to be cleaning seats after every meal! 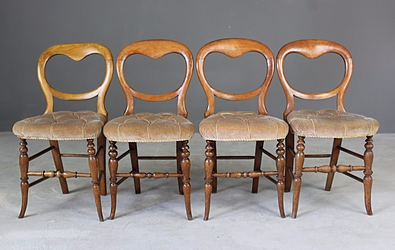 Antique wooden chairs are practical and stylish, and were made throughout many historical periods. The choice is endless, from rustic country chairs to ornate carved wooden chairs. 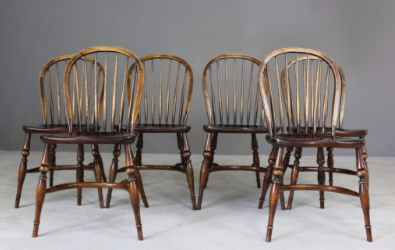 Keep an eye out for antique windsor chairs for some beautiful examples. Mixing and matching styles is also a great look for a dining room. You might have an antique dining table but fancy contrasting seating. Retro or vintage dining chairs can look stunning when placed with an traditional wooden dining table - the contrast between the styles creates an eclectic and unique interior that is sure to be a talking point at your next gathering. 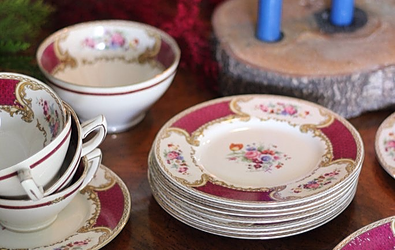 Setting a Christmas dinner table doesn't mean you have to have a full dinner set of the same design. 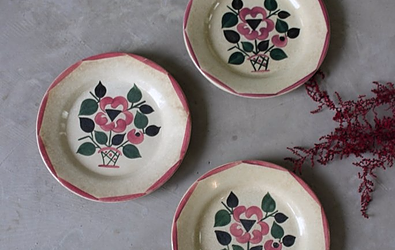 As lovely as that it, full antique and vintage crockery sets can sometimes be hard to come by. 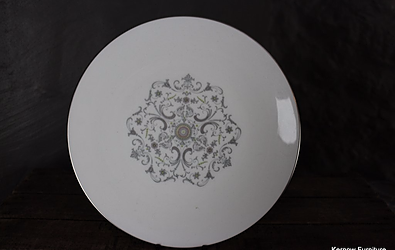 Mix and match your china this year with single dinner plates and bowls of different designs. Blend the old with the new by choosing some modern table linens, runners and napkins in a colour that complements the rest of your tableware. 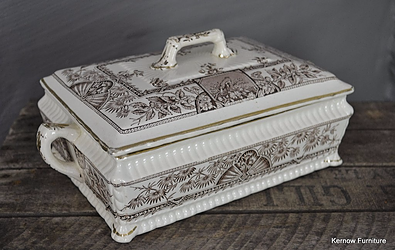 Whether you choose to go modern or vintage with your cutlery set, make sure you have enough for your guests! If you're going the whole hog and considering place cards for guests, have a look at some Etsy sellers who sell handmade cards, for something unique. 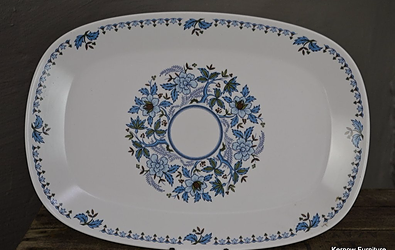 Serving ware that is larger than your every day serving dishes is handy to have, purely to use at the annual Christmas dinner. 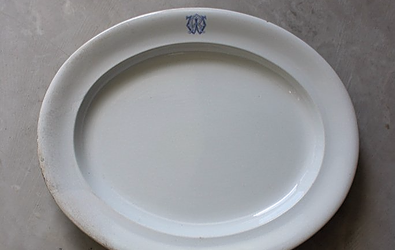 One traditional meat platter may be able to serve most of your Christmas turkey! 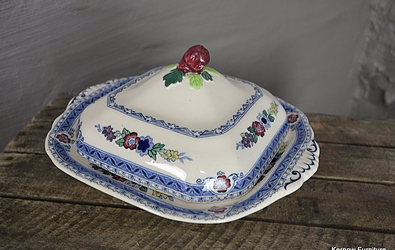 Look for pretty vintage serving ware, tureens and dishes that vegetables and side dishes can be served in. Now is a good time to check that you have all the kitchenware you're going to need for dinner preparations. 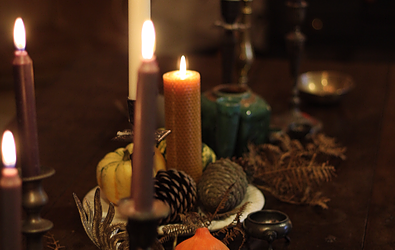 Decorate your table and surrounding area with seasonal foliage and greenery. Use holly, pine sprigs, poinsettia plants, evergreen cuttings, pine cones - they all invoke the spirit of Christmas. We also love seeing traditional Christmas wreath or garland as table centre pieces, using fresh cuttings they smell diving! Choose vintage home accessories such as brass candlesticks with long tapered candles to add a bit of height to the table, or large glass jars with pillar candles. 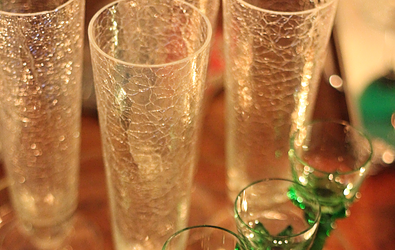 We'd love to hear how you get your dining room ready for Christmas! 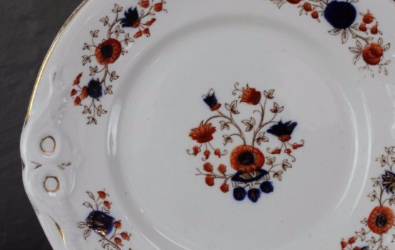 Do you have treasured vintage crockery that you've inherited from parents or grandparents? Let us know in the comments.